Congress continues to get closer to a final Farm Bill, and word is that Country of Origin Labeling (COOL) is in trouble. We need your help! The latest proposal to undermine COOL would allow meatpackers to put “product of North America” on the label, replacing labels that actually identify a meat product’s country of origin. The North American Free Trade Agreement (NAFTA) did many things — many of them bad — but it did not create a new country! Simply put, a NAFTA label is not COOL. Who knows what bad proposal they’ll come up with next? The solution is simple: keep COOL just the way it is so that consumers know what country their food was produced in. Negotiations also continue on the issue of fair livestock markets (the GIPSA rules) and the food safety rules. See the More Information section below for the details. The negotiations aren’t over yet, so if you have not yet called, please call today to make sure your voice is heard on these issues! You can find out who to call and what to say in the Take Action section (scroll down or click here). Thank you to everyone who has already called their legislators — your voice matters! 1) Country of Origin Labeling: We know where our clothes are made, so why shouldn’t we know what country our food comes from? In 2008, thanks to the work of many farming and consumer organizations, Congress required Country of Origin Labeling (COOL) for produce and meats. But the big meat packers don’t want to have to tell you where your food comes from, and they convinced the House to include a provision in the House version of the Farm Bill that guts COOL. Tell the conference committee to protect COOL and reject any changes! 2) Livestock competition rules: We also succeeded in getting provisions in the 2008 Farm Bill that would rein in some of the abuses of the big meatpackers and provide fair, competitive markets for livestock producers. That provision was later undercut, but the GIPSA section of USDA did adopt some rules that provide at least limited protections, under a law called the Packers & Stockyards Act. But, again at the bidding of the meatpackers, the House version of the Farm Bill would undermine even these limited protections. Tell the conference committee to protect the GIPSA rules for fair livestock markets and reject any changes! 3) Food Safety Modernization Act (FSMA) regulations: The FDA’s proposed regulations under FSMA would be disastrous for many small and sustainable farmers. While the FDA’s recent announcement that it will issue revised proposed regulations is an excellent step, we need to make sure that the new proposed regulations are based on sound science and economics. FARFA led a coalition of 39 farming and consumer organizations in sending a letter urging Congress to include the Benishek provision in the Farm Bill, which would require the FDA to do more analysis before enforcing rules under FSMA. Click here to read the letter. 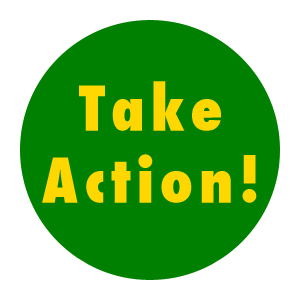 Please add your voice to tell the conference committee to require FDA to do the proper groundwork before issuing food safety regulations! Please speak up for our farmers and food producers today! Support the Benishek provision to require FDA to do an analysis of both the science and the costs before implementing regulations under the Food Safety Modernization Act. 1) Find out who represents you by going to www.house.gov and www.senate.gov or by calling the Capitol Switchboard at 202-224-3121.